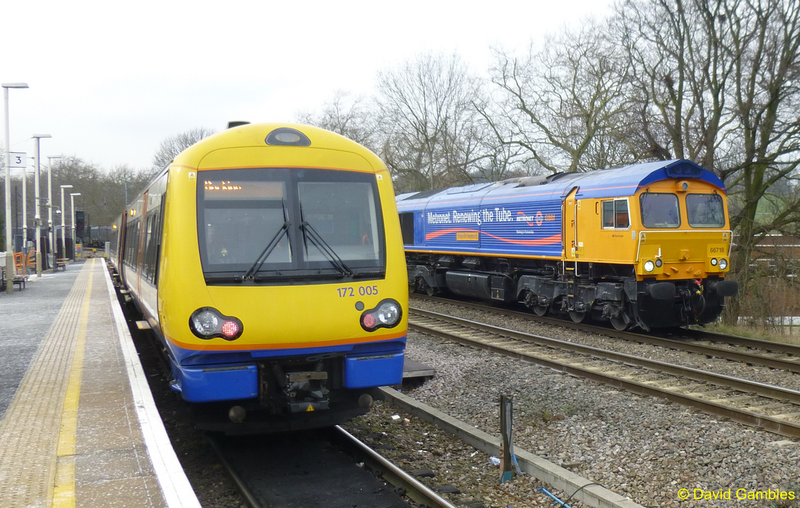 Transport for London have announced that modified Class 378 electric trains are to be used temporarily on London Overground's Gospel Oak to Barking line. The Mayor for London Sadiq Khan has also secured a month's free travel from the manufacturer Bombardier Transportation for when the new trains enter service. The 378's are to be put in place to accommodate for the delays, which the new 'Class 710' electric trains which are not yet ready, have caused. TfL said that it, the Mayor and Deputy Mayor for London are continuing to press Bombardier to deliver a fully operating new train as soon as possible. The modified electric trains will be four-car vehicles and will be active until the 'Class 710' trains are ready for passenger service. Three existing electric 'Class 378' trains are being modified to ensure services can continue running. One has joined the line, while two more are expected by March, when the last of the existing diesel ‘Class 172’ trains is released for use elsewhere in the country. The modified electric trains will operate alongside the current class 172 trains, which means some trains throughout the day will be diesel and some electric with two and four cars respectively. TfL's director of rail and sponsored services Jon Fox said: "We are very sorry for the continuing delay to the introduction of the new fleet of electric trains on the Gospel Oak to Barking line. We share our customers’ frustration and continue to push Bombardier to do everything they can to allow us to bring the new trains into service as soon as possible. "We had expected the new trains to be in service well before now and are doing all we can to minimise impact on our customers who have been waiting for way too long for the trains they have been promised. Given the ongoing delays we are modifying three electric trains normally used elsewhere on the network and will put them into use on the Gospel Oak to Barking line until the new electric trains are here. "Customers have shown great patience and to show our appreciation the Mayor has secured funding from Bombardier to support a month’s free travel on the line once the new trains are fully introduced. More detail will be available closer to the time." The diesel trains lease has been extended twice since last summer, but they will all need to be released for elsewhere in the country by the middle of March. If by then, the new electric trains are still not ready to enter service, only the modified electric trains will be available for use. This could mean the frequency of services would reduce, but overall capacity will remain the same or slightly increase as the trains have a larger capacity.